Brother Drivers Update Utility For Windows 7 updates your Windows 7 drivers for Brother devices automatically. It will scan your Windows 7 first then download and install Brother official drivers to let your Brother devices work properly. 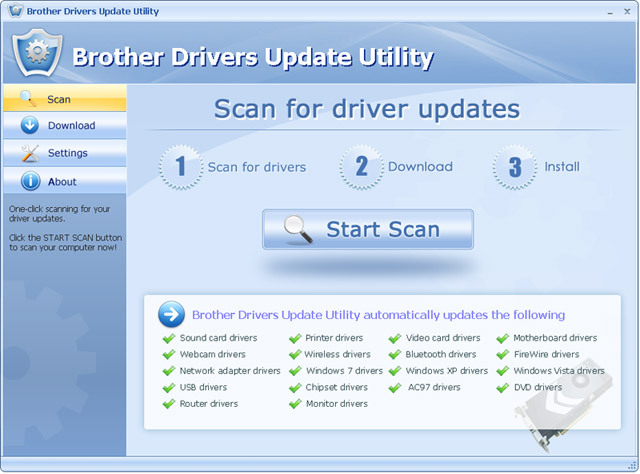 The Brother Drivers Update Utility keeps your Brother Windows 7 system up-to-date. It detects which driver updates are relevant to your computer, and then helps you install them quickly and easily.